I recently received a wonderful surprise from a reader friend, who is the work-at-home father of an 8-year-old. He wrote to me to share how much he and his son had enjoyed Musiville, asking me that I share his story on my blog as a guest post. I hope you enjoy his post as much as I did! 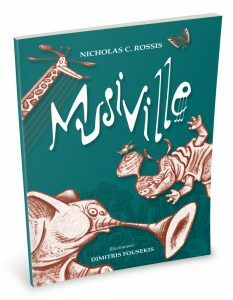 Since Father’s Day is just around the corner, he has inspired me to give away Musiville between the 13th and the 18th in the hope that more fathers can enjoy reading it with their little girls and boys. So, unless you prefer the print version, you may wish to wait for a couple of days and get it for free!